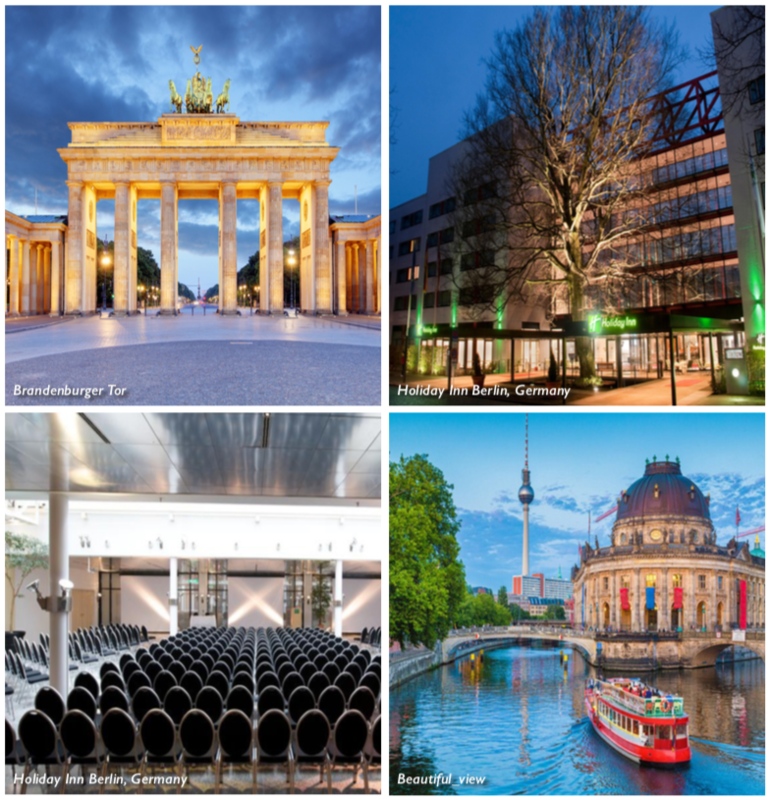 Our venue Holiday Inn Berlin City-West is within easy reach of government, business, and entertainment districts of Berlin and is easy to access by public transportation. Our venue is only minutes away from Berlin Tegel Airport, and Berlin’s historic city center is a short taxi-ride away. Venue address: Holiday Inn Berlin City-West, Rohrdamm 80, 13629 Berlin, Germany, Phone: +49 30 383890. See our Hotels and Travel page for info on how to get to venue or find our venue here on Google Maps. Find more info on how and when to ship your expo equipment here.